Control your noise with this easy-to-use pedal. 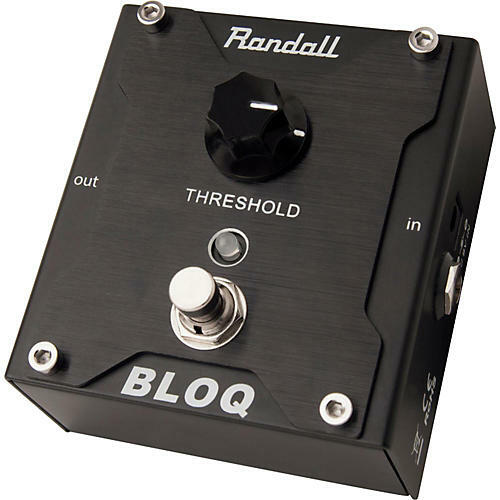 Randall's BLOQ is a dynamic Noise Gate pedal which offers you Threshold control and switchable input sensitivity for "loop" or "front-end" applications, as well as true-bypass. Powered by a 9V battery power supply (sold separately) or Randall PPS or PPS2 power supply (not included). Add to your rig today!